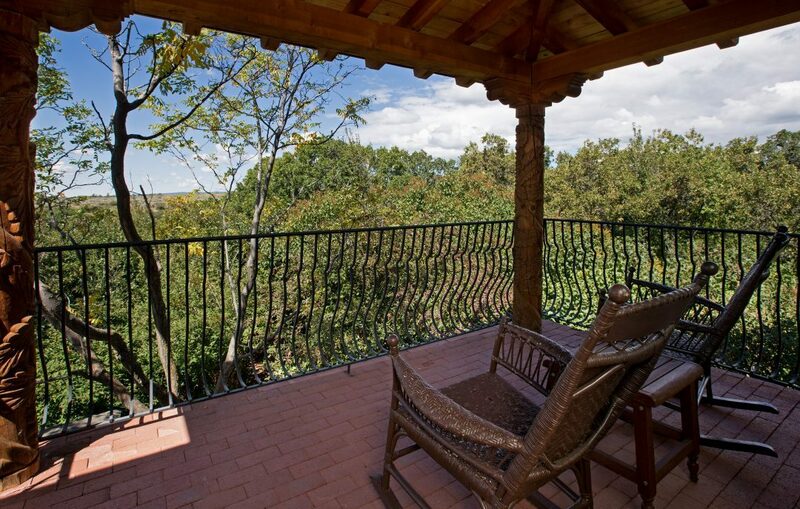 The La Plata Vista Room is an intimate and luxurious perch from which to experience nature firsthand. 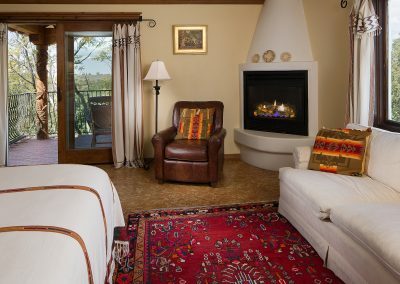 This romantic retreat is on the second floor of the historic Ranch House and has recently been remodeled to take advantage of the natural surroundings of Blue Lake Ranch. It features locally made Native American artwork and pottery. 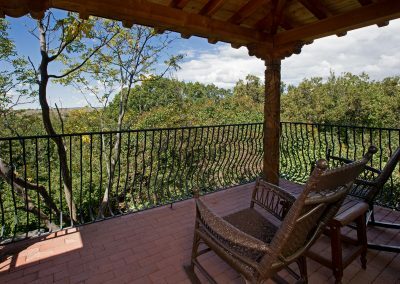 From your private deck you can enjoy a bird’s eye view of the stunning countryside. 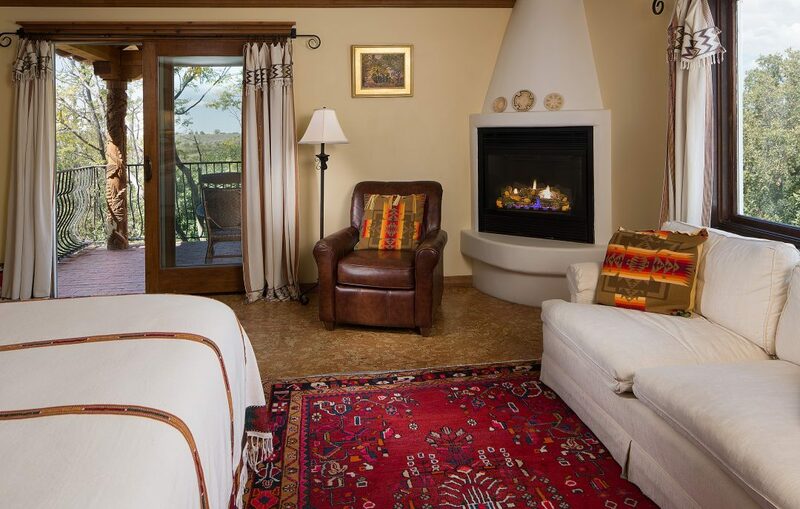 At day’s end you can relax in style and luxury with a pillow top king bed, romantic gas fireplace, and wet bar. 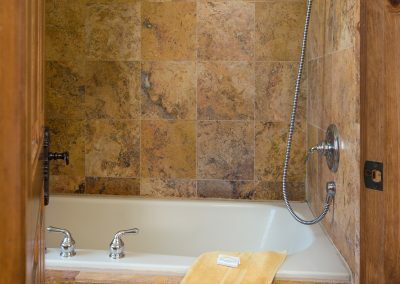 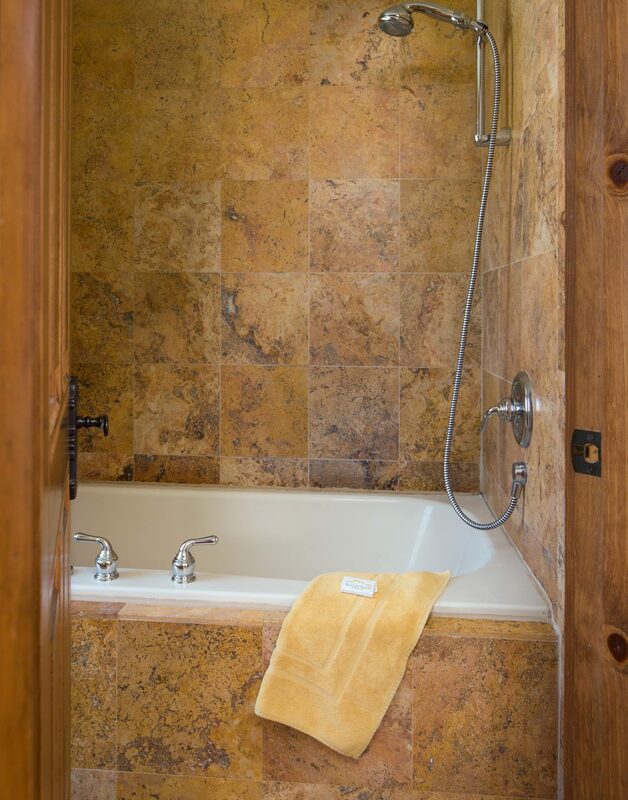 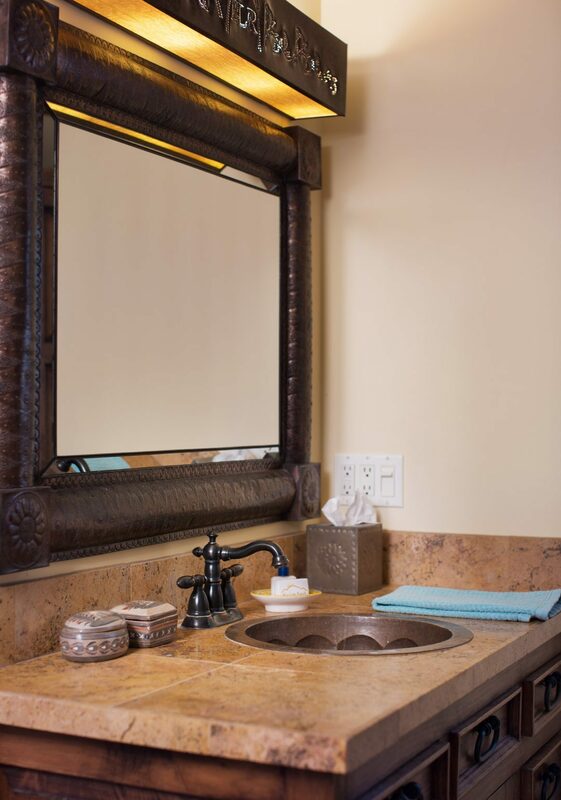 Soak your worries away in the room’s large jetted tub. 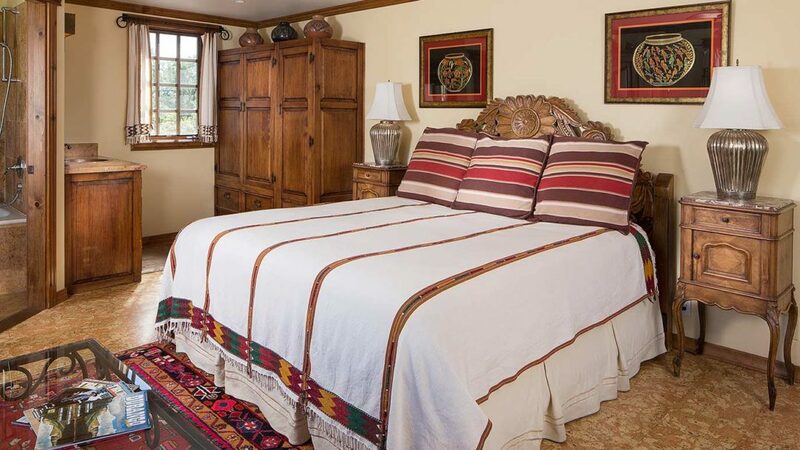 Sleeps two guests.